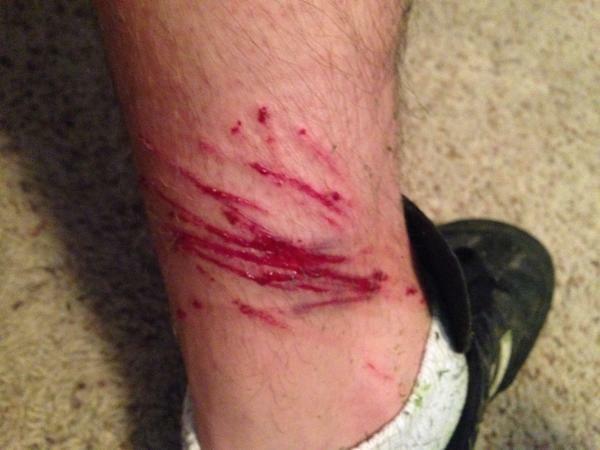 Whack Lawns, Not the Shins! A string trimmer, also called a "weed-whip", "whipper-snipper", "weed-whacker", a "weed eater" is an amazing outdoor power tool that keeps the borders of a lawn neatly manicured. A staple among professional lawn service personnel and used by many home owners, gas power weed whackers work by using rapidly spinning blades or microfilament lines of different diameters stiff enough to cut grass, weeds and brush making landscaping jobs easier, faster and more cosmetically appealing, but like any other power tool, there are precautions. There are dangers associated with the use of weed whackers and if they aren’t handled properly, it could result in personal injury, infection or a trip to the emergency room. In fact, the Center for Injury Sciences stated that an estimated 81,907 injuries involving a lawn trimmer, more commonly referred to as a weed wacker or weed eater, occurred from 2000-2009. These were just the injuries that were reported. Many more were treated in the home and not reported. String trimmers can be top heavy and individuals should always maintain a safe grip with two hands but there instances where one needs to use one hand to open let’s say a gate. The weight of the trimmer can cause the base to kick back and by the time your brain realizes what just happened, your clothes or boots are ripped apart or worse, layers of skin have been stripped away causing welts and great discomfort for many days. Lawns have many particles including stones, mulch, golf balls and even glass all of which can fly off the ground. The higher the rate at which these particles are flying, the higher the probability of pebbles and hard particles being thrown at you and wounding you making Shin Guardz™ ideal for lawn cutting personnel. Protect yourself and your employees with industrial PPE designed with your safety and comfort in mind! Shin Guardz™ Protect Against Debris Ejected by Outdoor Power Machines and From Powerful String Trimmers That Can Strip Away Clothing & Flesh! Never get injured by flying debris or weed whacking line again! 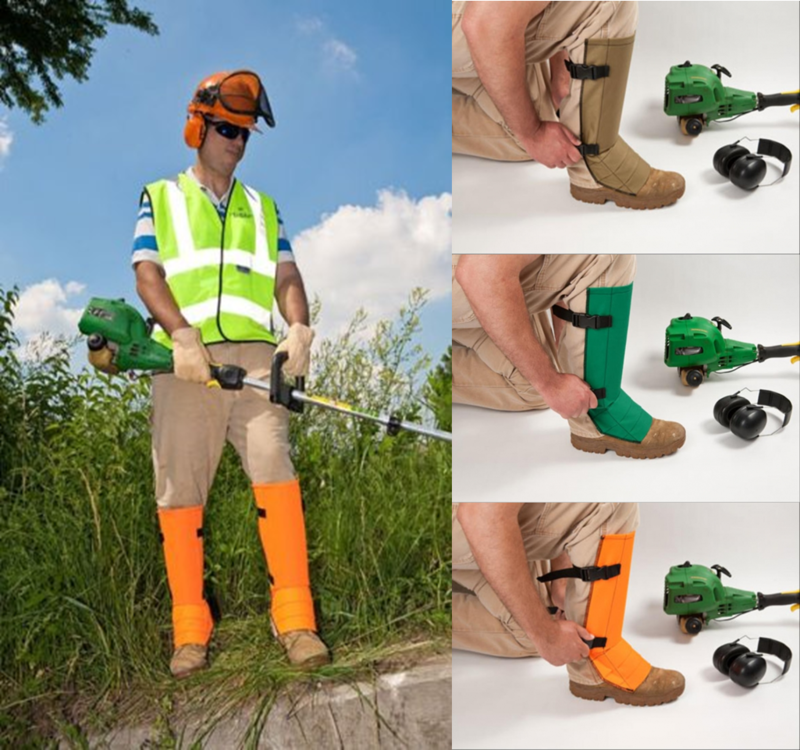 Shin Guardz™ industrial shin protectors from CrackShot corporation are designed to protect homeowners, landscapers, golf greens, parks department, line clearing service personnel, farmers, arborists, construction workers, refuse and recycling personnel, operators of lawn mowers and people using string trimmers. Made with 600 X 600 polyester encasing polycarbonate with acrylic inserts, Shin Guardz™ covers everything from the front and sides of the shin, to the front of the ankle and the metatarsal area of the foot. These are made to be worn over work boots or shoes and have one inch polyester straps and quick release buckles to keep them secured and in place. Each shield weighs only 7 ounces and all items are impact tested to meet ASTM-1342-05 specifications. Available in three popular solid colors, they meet the California Technical Bulletin #117, Section E and meet CS-191-53 Flame Retardant specifications. One size fits all. +Shop here for Shin Guardz™ now!